The ultimate goal of any website is to generate traffic. With the emergence of several electronic devices, it has become hard for enterprises to keep up with the diversity in internet traffic. It has also become extremely costly for them to create new URLs for every electronic device. With some devices that find a narrow entryway, like Kindle, it has become tough for organizations to fathom how many such devices they need to serve. It is in times like this that a responsive web design comes into play. 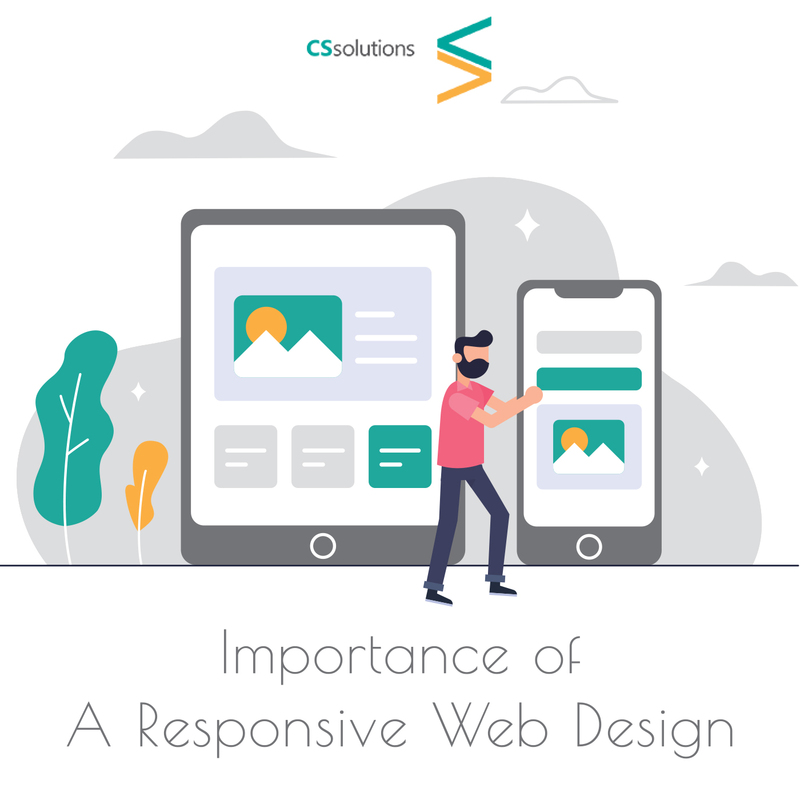 A responsive web design is one that can adapt to all the different types of electronic devices and media that can access the internet without having to create new URLs or website designs for each of them. That means that the enterprise can create one web design and URL and manage that one only. Towards the end of 2014, the surge in mobile users was recorded to be 12 times what it was in the previous year. The changing preferences of different demographics have also influenced a shift from PCs to Mobiles for using the internet. The best responsive web design would help in reconstructing the sizes and resolutions of the web pages across all screens. This would mean that the same webpage on a PC would be resized onto a mobile phone so that the user doesn’t have to scroll in different directions. The best web design and development company would not only increase your footfalls but also your ranking on search engine results. Google recommended organizations back in 2015 to start making their platform mobile friendly. The reason why Google made this suggestion was that its indexing algorithm rewards those websites that are fully optimized to deal with mobile traffic, making it a ranking signal in its search results. Another positive of this is that a comparatively better web design and development company would help you make a larger number of conversions because consumers will be able to access them from various platforms. Take Miami, for example. Close to 5.5 million people were recorded to have used mobile phones in some way or form as of 2014. Companies specializing in web design in Miami ensured that the needs of these people are equally catered to as well as those of the PC users. Web designers in Miami focussed on building an intuitive website that wouldn't require creating a large infrastructure which could later prove to be a burden for the website design company in question. In other words, with more than half a million users, any Miami website design company could only hold claim to being one of the best web design companies if the conversion ratio is at least similar to the PCs, and the user response to interacting with the website on different devices is similar. From the consumer's point of view, web design companies should lessen the workload of the maintenance staff, and a responsive design does just that. Since there is only one website to look after, maintenance becomes relatively easier. Contrary to popular opinion, it is not really hard to develop a responsive layout. All that one requires is a few CSS tricks up their sleeve. Also Read: How Does a Responsive Website Design Work? In 2016, a study pointed out that for the first time mobile internet users had outnumbered desktop internet users. That means enterprises were tasked with the job of ensuring that their presence was felt on mobiles as well. To leave it be and redirect users to the desktop version on their PC meant certain problems in usage such as double directional scrolling, image resizing and font restructuring. While apps certainly created a viable alternative, not every user was a regular customer. Most were window shoppers or one-time customers. This meant not everyone would download the apps. Therefore, having a responsive web design could help resolve this issue by ensuring your presence is felt across both, search result rankings as well user footfalls for the windfall consumers. In other words, it is highly imperative to upgrade your web design by making it responsive not only to the market but also for the user and also improve the aesthetics of it. Besides, having two separate URLs would means duplicating the content, which would lower your rank on search engines because they are constantly on the lookout for such markets. In conclusion, your website needs a responsive web design for ease of user interaction, faster page loading across all devices, and improved design, as well as the reduction in costs in the long run.